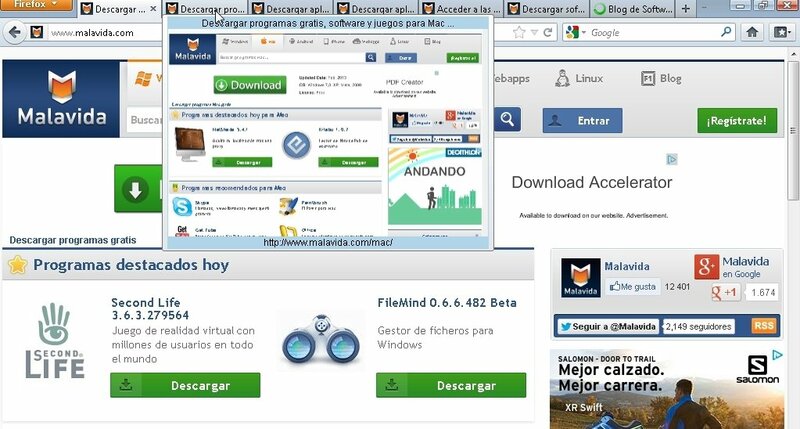 When we have several tabs open in Firefox, we can identify the contents of each one of them by the key that is thereby inserted. Nevertheless, it's sometimes difficult to do so, either because the key doesn't say much or because we have so many tabs open that the text is incomplete. In that case, we can solve this problem by getting hold of an add-on like Tab Popup. Save time when browsing with several tabs. 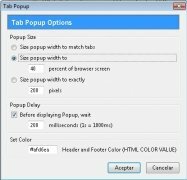 Tab Popup is a Firefox add-on thanks to which we can preview the contents of the open tab without accessing it, saving the time that we would need if we had to go through all the tabs. Furthermore, to identify a lot more contents, the link of the open page is shown. 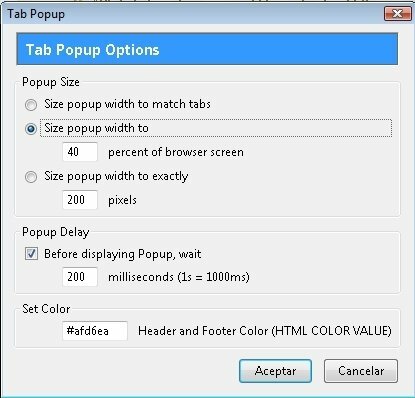 Options to configure the size of the window shown depending on the percentage of the screen occupied, adapting it to the tab or by number of pixels. Control the time taken to show the contents. Possibility to change the color of the heading on which the link is shown. Don't waste any more time jumping from one tab to another with the Firefox add-on Tab Popup. Requires Firefox 1.5 to 11.